I've always wondered if Santa was real or not. I was convinced that the mall version of him was the real thing, until one Christmas he failed to get me the latest NHL for my Sega. After that, he was dead to me, and I began to question everything in my life. 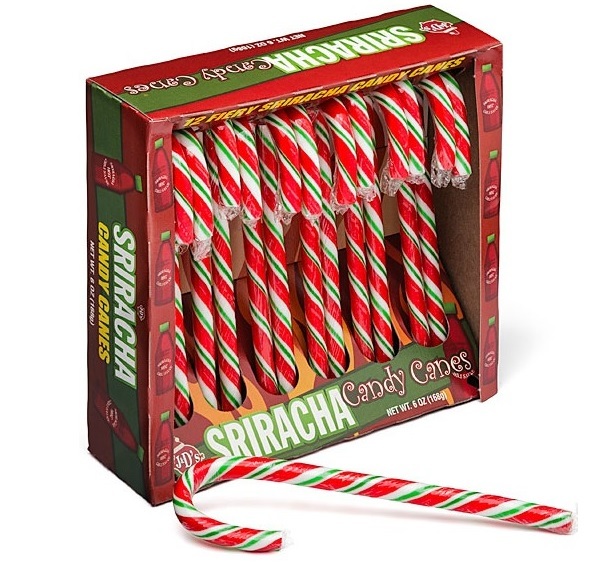 Fortunately, these Sriracha Candy Canes are bringing back the faith. The new holiday-friendly item features your classic candy cane with the year's hottest trend (ho ho ho). Infused with Sriracha's spicy flavor, each candy cane is decorated in the Rooster Sauce's signature colors of red, white, and green. Of course, their resemblance to the traditional peppermint flavor makes for perfect prankster fodder. With such a troll-worthy, delicious holiday offering, I just might forgive the bearded bloke after all.